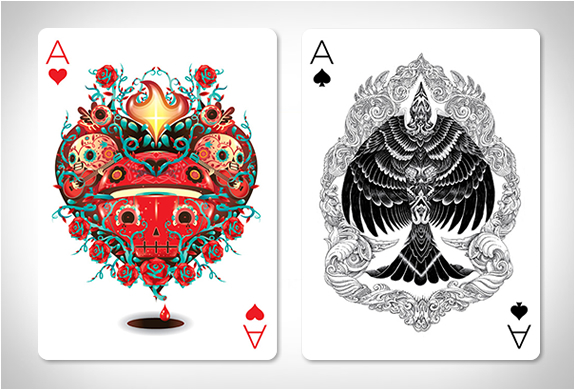 From the two of clubs to the ace of spades, each card in this beautiful deck has been individually designed by one of the 55 chosen international artists in their distinct style and technique. 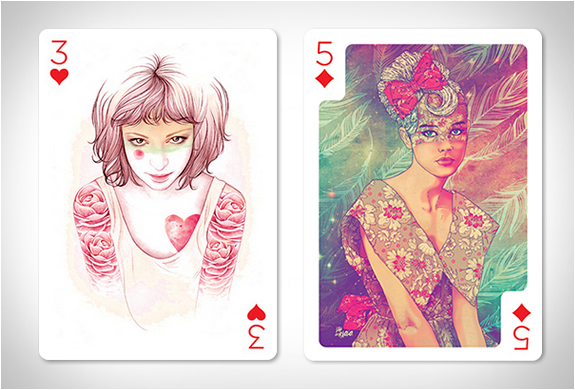 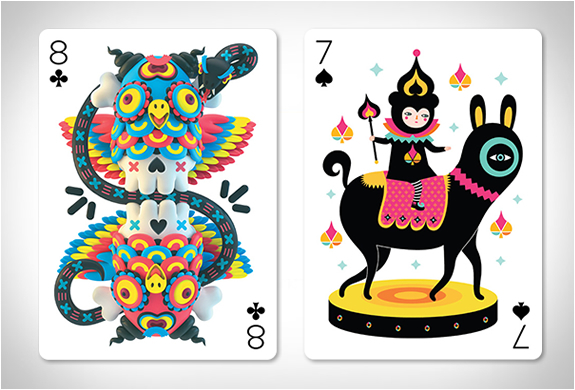 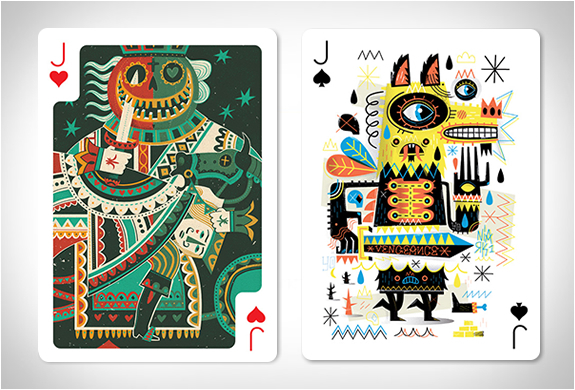 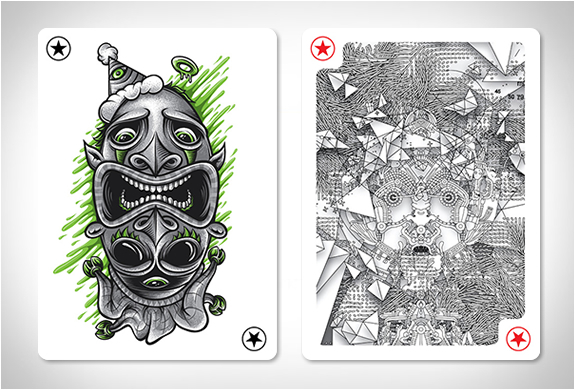 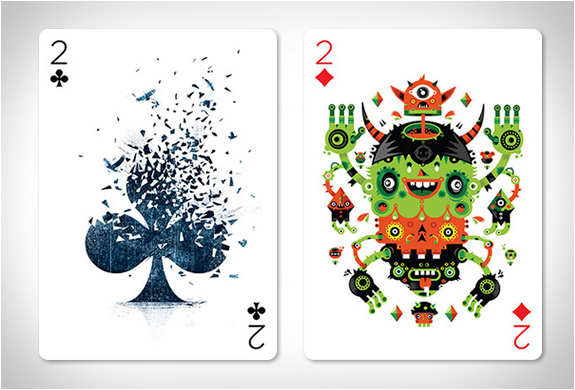 The idea of the Playing Arts project was to create a deck of unique playing poker cards, each one designed by the most talented designers and illustrators from all over the world, using their own individual style and technique. 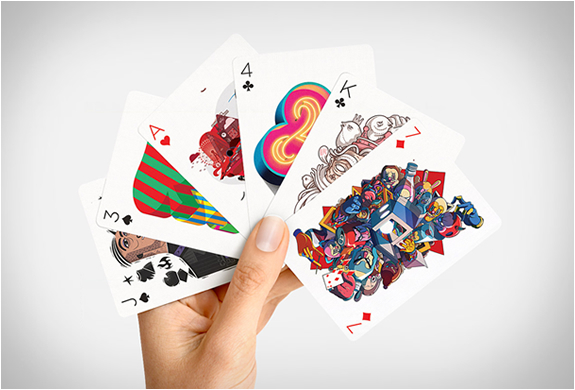 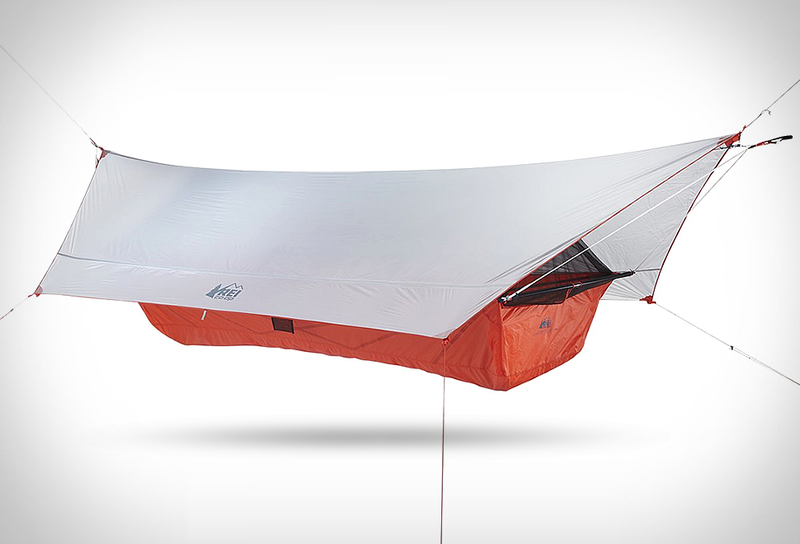 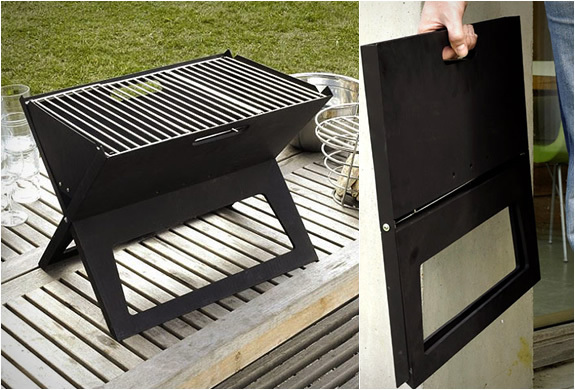 The end result is nothing short of spectacular.